Day six of life without a laptop. Last night was pretty good actually, I whacked on some Keltrix and sat outside embroidering in the sun. The Keltrix was a wise move as I've been ODing on Ella Fitzgerald and Patsy Cline and was starting to feel far too soulsome and jazzfull. Embroidered Rolf Harris hoop. Just 'cos. 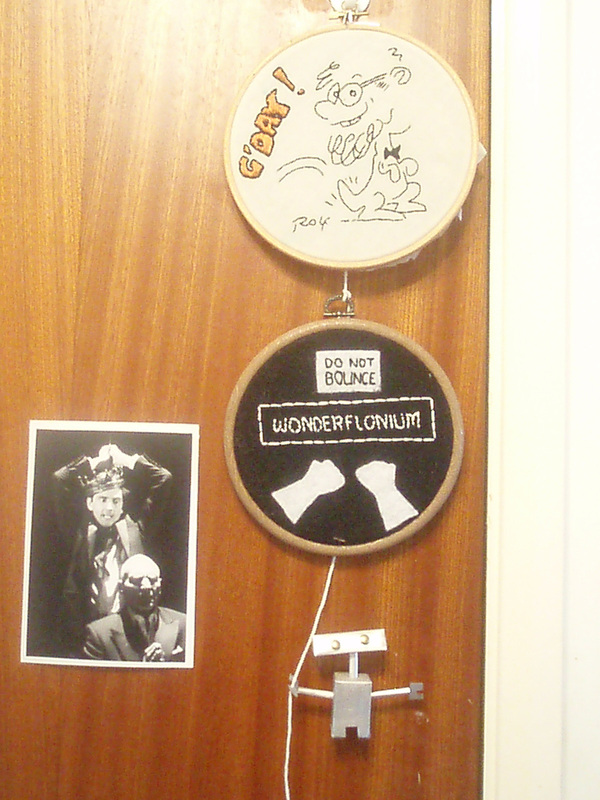 My airing cupboard door is starting to look kinda weird. Can you tell what it is yet? Possibly the neatest underside I have ever accomplished.